Your Questions: How Can I Practise DJing On Really Basic Gear? 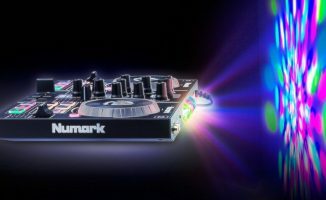 The Numark DJ2GO may be basic, but if you combine it with a good keyboard mapping, and a sound card, you can do almost anything. Digital DJ Tips reader Jack writes: “My main problem at the moment is that I have probably the most basic controller in the world (Numark DJ2GO) which I use with Virtual DJ Pro. Basically all I can do is mix songs together and adjust volume levels! I do have a small USB sound card so I can use the headphones monitoring functions as well, but that’s about it. Two things. First thing, what you have is plenty to make mixtapes, learn about programming, and play small parties. Truthfully, most of the skills of DJing aren’t about filter sweeps, FX etc, just simple mixing between great tunes, put in the right order. With the ability to headphones cue and manipulate your tunes with the basic controls you have, you’re half way there already. 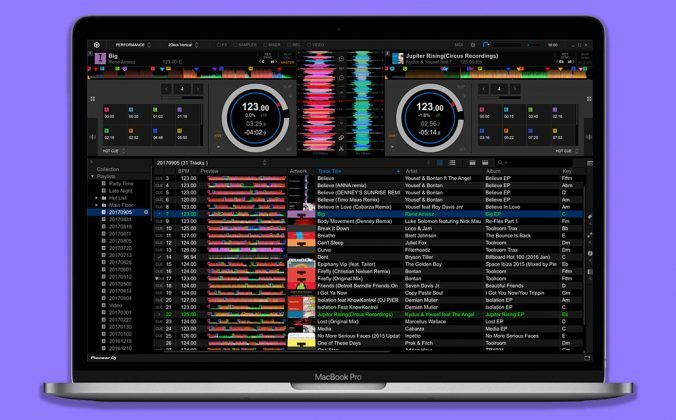 The even better news is that you have a great DJ controller already: Your computer! As you’re using Virtual DJ Pro, you can remap the keyboard to control anything you want. Want EQ controls? Map three pairs of buttons to turn the bass, mid and treble up/down for each channel. Want kills? Map toggle buttons for kills. Same for filters etc. Google “VDJPedia” to learn about mapping Virtual DJ. 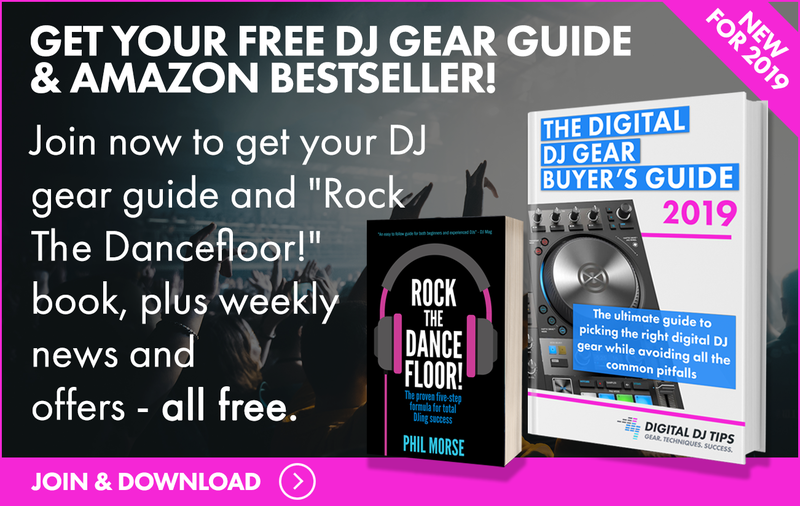 To let you into a secret, when I first started digital DJing, I used Virtual DJ plus a really good sound card (for headphones monitoring, just like you) – and nothing else. I couldn’t find a controller I liked back in 2005, so I just mapped my keyboard to do exactly what I wanted in order to mix successfully. And I held down a residency in a large club playing that way. It is possible – don’t let the hardware / software hold you back. What gear did you start out on? 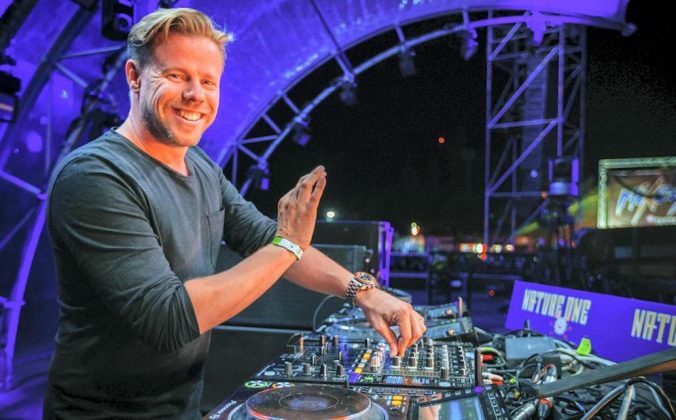 How far have you managed to push your DJ career using really basic gear? Please share your experiences in the comments. 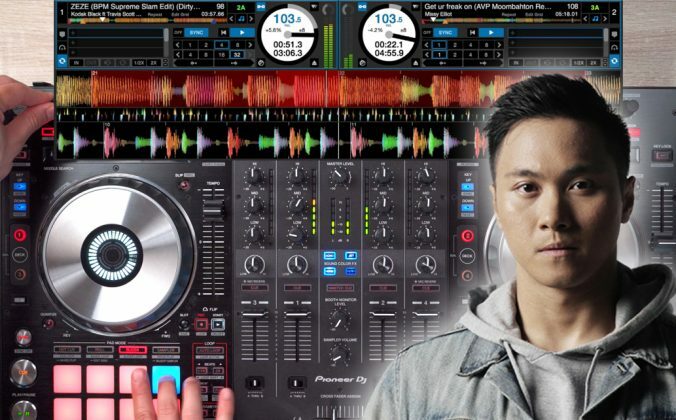 Your Questions: How Do I DJ On A Controller With No Phones Jack? 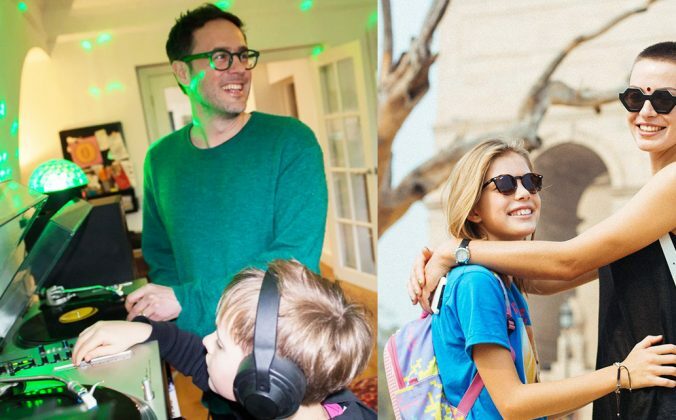 Controller Clinic #45: Which DJ Controller For A 7-Year-Old? Mapping is the next stop. It’s not the easiest way to do stuff in the heat, but you can do a little more with mapping the essentials. 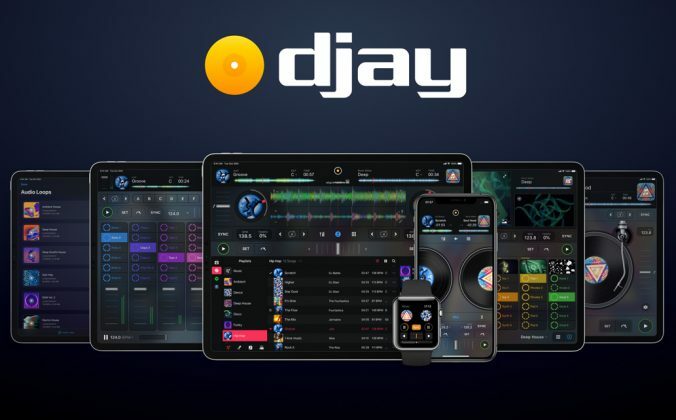 I don’t know is it possible to sell your virtual dj license, but I think you can get a proper dj software and controller with vdj pro price. excellent piece of advice Mr Galloway , it’s so so often overlooked. Knowing your music, first and foremost. I agree with everything, except the last line. Entertainment is not just something you do, it’s the name of the entire industry we are in! And no, if ALL you do is entertain, your are not a good DJ. But if you do all the rest of the stuff well and don’t entertain, I also believe you are missing something. DJ-ing IS entertainment and that entertainment should be a compliment to great DJ-ing skills as you described. I agree. It’s entertainment, even as a “gospel” DJ. There’s a fine line of being entertaining and being ministry minded, but there has to be some kind of entertaining value to the music so the people will tune in instead of tuning out. Wow Norman Jay is my definition of the ideal DJ. He is definitely my inspiration. I watched his set at Big Beach Boutique I think in 2003, available on youtube, where he rocked the hell out a crowd of 2500000 people (for free) with some records, two turntables and a bottle of vodka and orange juice. And his mixing as far as I could tell was basic. lol norman cook sorry guys. 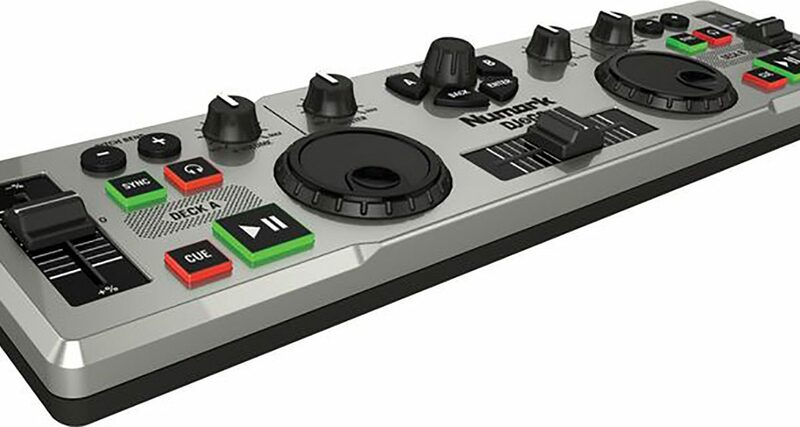 also, there seems to be very limited amount of buttons in your controller, maybe you could use those more creatively… like for example map channel faders to pitch faders or you can remove those +/- buttons for any other use, if you use jog wheel for controlling track speed. remove the functions that aren’t neccessity while you play and replace with new ones. If you don’t use sync map it as a modifier and make the volume fader a filter if you hold the sync button for exampel… I’m using a Numark N4 and I wouldn’t be able to do half of the stuff I want to if I didn’t remap it and didn’t have modifiers! Modifiers are gold! I have done many a parties with the Ion iDJ2Go mapped the way I want it with DJ Player on my iPod Touch. Mapping is the way to go. Also look for a nice used controller that is “outdated” as you could scoop it up for next to nothing or look of some modular bits to add to your set up for fx or cues or EQs. 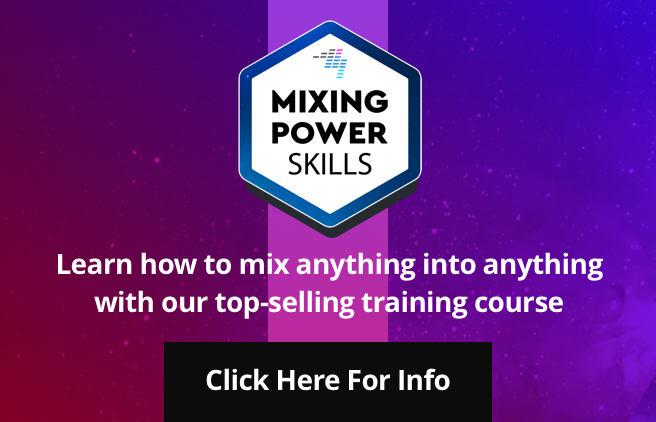 A used MAudio Mixlab can be purchased for next to nothing. It’s only £20-30 quid but would give you pads to trigge cues etc and knobs for eq. I’ve been really happy with it since I bought it. I use a Novation Nocturn to do crossfader etc. You can really do a lot using just your keyboard. I’m not a professional DJ by any means, but I’ve been making mixes and such with VDJ Pro since version 2 using only my keyboard, and I’d like to think I’ve gotten pretty good at it. I have a controller now, but I still do a lot of practice on my keyboard since it’s less bulky and easier to just fire up and go. Actually, I started DJing with my laptop, and then acquired an ION Discover DJ. It is a great peace of gear, but it is quite limited in its choices. Also, big bummer, I did not know how to map it. The, I moved to my current multi-module setup: a DJ-Tech VTT-101 turntable, a Stanton SCS.3m, a Korg nanoPAD2, a Traktor X1, and a pair of Novation Dicers. If you look at it, it’s not quite impressive as stand alone controllers, but in a set, and with good mappings, they can be very, very powerful! I had the same problem as you. My solution? Buy an Akai LPD8. 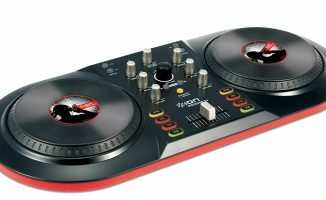 It’s the exact same size as the DJ2Go and you can program your pads for loops and knobs for EQ and filter. Yeah, everyone’s comments are very good here. The only thing I might add would be (since you’re broke) to find an old midi keyboard with a USB port, or going the DIY direction with an Arduino, RaspberryPi, etc. and scrounging some buttons, knobs and switches. This is something everyone can do with a little soldering skill, time, and spare parts. You have everything you need though. Now you just have to get good at it. I taught myself most of what I need to know about DJing from Virtual DJ & my own custom keyboard mapping since I was too poor to afford equipment. I can mix better with just a keyboard than some DJs can with actual equipment. 5€ and 2h of work and you have reached a whole new level! LPD8 and map that sucka! 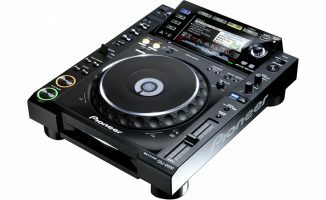 I liked the Numark DJ2GO when I had one. If only it had a built-in soundcard it would be perfect. I think you can play a bar gig with this controller and you can practice with anything, even the iPad apps. You can even do a gig with something like DJ Player if you are really feeling it. Mapping that controller & keyboard is the key. 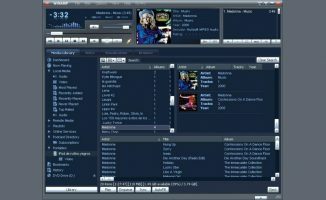 Check out VDJpedia, it’s your best friend to mapping. I have full size midi controller & CDJs/Mixer, but currently I’m playing at my bar/lounge residency with just a laptop + Audio 2 + Kontrol F1 (mapped the F1 with the help of VDJpedia and google). And I’m doing video mixing with just that. When i first getting into the edge of Digital DJ was at this one party, my setup is two 1200’s, a basic mixer with no EQ, a big tower PC ( uhm which i loaned from my gf at the time ),running two Winamps both with the pitch/tempo slider plug-in (forgot what its called LOL), and i rocked that party ! I played my first club gig with DJ2GO and DJIO sound card. It was perfect and I touched the keyboard only for some looping and nothing else. You got cheapest controller what you can find but very expensive program with it. Piracy? I owned a VDJ Pro license and a DJ2GO long before I ever invested in a real controller. A lot of people buy their software first, and it makes good sense with VDJ since you get free upgrades for life.